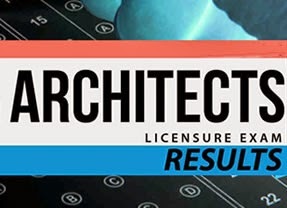 This is the 8th page of your List of Passers Architects Licensure Examination held last January 23 and 25, 2015. Please refer to the table below. Note: The list of passers are ranked alphabetically for more easier way of finding your name.